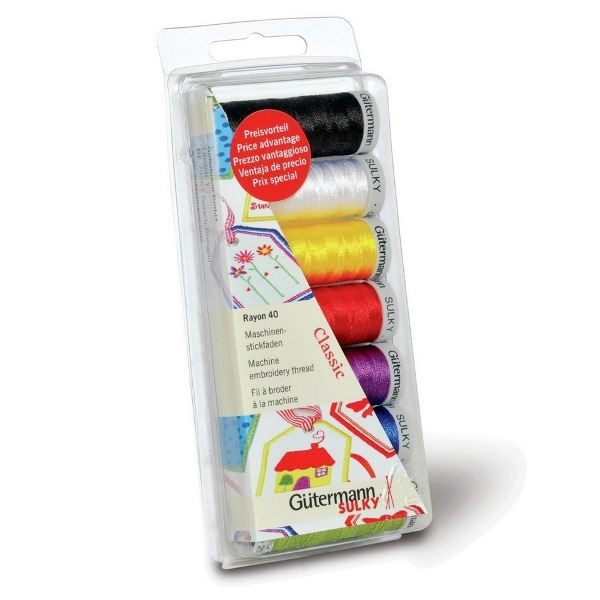 Gutermann Classic Sulky Rayon Thread Pack. Content: 7 Reels of Classic Gutermann Colours. Universal high quality machine embroidery thread. Colours: Black, White, Red, Blue, Green, Purple, Yellow.